Proxiblog’s Free; Tuition Isn’t ! Please donate to our ISU fund? Each August Proxiblog takes a vacation because in our day job we work at Iowa State University. This is the busiest time of year, with high school students flocking to town from the nation and world. We are a major buyer on Proxibid, and we use our numismatic skill to raise money for the Bugeja scholarship fund, underwriting ethical journalists of tomorrow. PLEASE CLICK HERE to go directly to the fund and donate what you can. In a few months, you will receive a thank-you letter from Michael Bugeja, journalism director at ISU and creator of Proxiblog. Your donation is tax-deductible. You can complete the entire transaction online, or you can send a check to Dr. Bugeja at 110A Hamilton Hall, Greenlee School of Journalism and Communication, Iowa State University, Ames, IA 50011. Please make the check payable to the IOWA STATE FOUNDATION. Meanwhile, we thank all of our dedicated auctioneers who sponsor our blog and who have sent thousands of dollars to our students. We appreciate your generosity more than you know! So during August, check out our 497 posts and 1000+ photos. You have an online coin book under the Articles tab. Everything you need to know about buying and selling smartly on Proxibid is included in these pages. 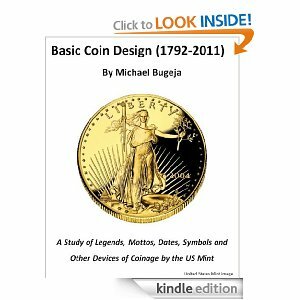 And while your at it, check out Dr. Bugeja’s latest coin book, Basic Coin Design, downloadable for a modest fee on Amazon.com. He is a member of the Citizens Coinage Advisory Committee and helps choose designs for the modern coins that you sell. Proceeds again will go to the scholarship fund. ← New Rankings, New Houses, Almost 40,000 Views!